Here it is my second LEGO Technic set: LEGO 9392 Quad Bike. I just saw it while shopping and who could resists to buy this fantastic set for barely 30€ ( Damn! I have just checked Amazon.co.uk and it is for sale at £15.50 ). Anyway, the set is a simple and affordable one. But one of the things that impressed me most is that it contains lots of parts. 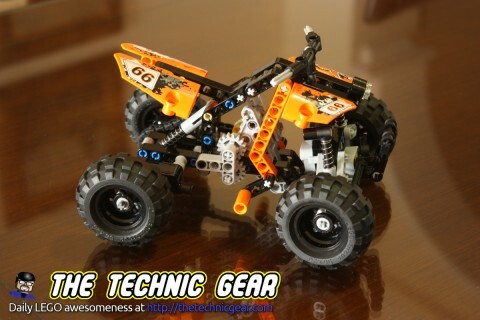 It has two very nice models, A that is a Quad bike and B that it is very cool Buggy. As my kid really love cars we built first the buggy. This video, on the other hand, is about the model A. To my amazement I didn’t have any problems when building it, as I told you it is a very simple model. Next week I will post the time-lapse building of Model B.